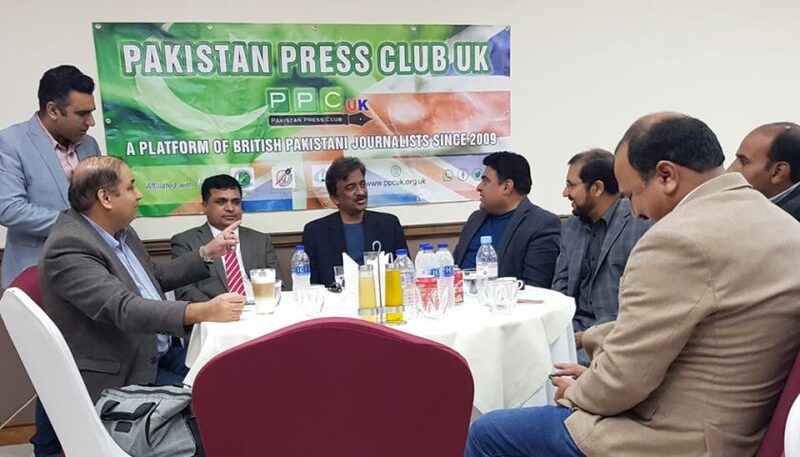 London: Pakistan Press Club UK arranged a media interaction with renowned Pakistani Artist Tauqir Nasir who was on visit to UK. Acting President PPCUK Akram Abid introduced the guest and said Tauqir Nasir is not only a versatile actor but an educated person as well. He got his masters degree in journalism in 1981 from Punjab University. Tauqir Nasir had been the Director General of Pakistan National Council of Arts for two years, he added . 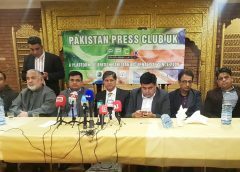 Secretary General of PPCUK Naveed Chaudhry mederated the event. 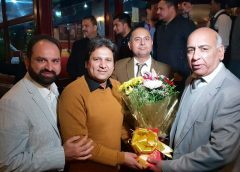 While answering to media and public Tauqir Nasir emphasized that current Government is committed to promote pure Pakistan culture through revolutionary changes in culture sector while discouraging Indian culture. Our first priority is Pakistan and will live and die for it and that Pakistan would stand in developed countries soon, he added. Mobeen Chaudhry, former President of PPCUK reminded him the old memories of Lahore back in 90’s.